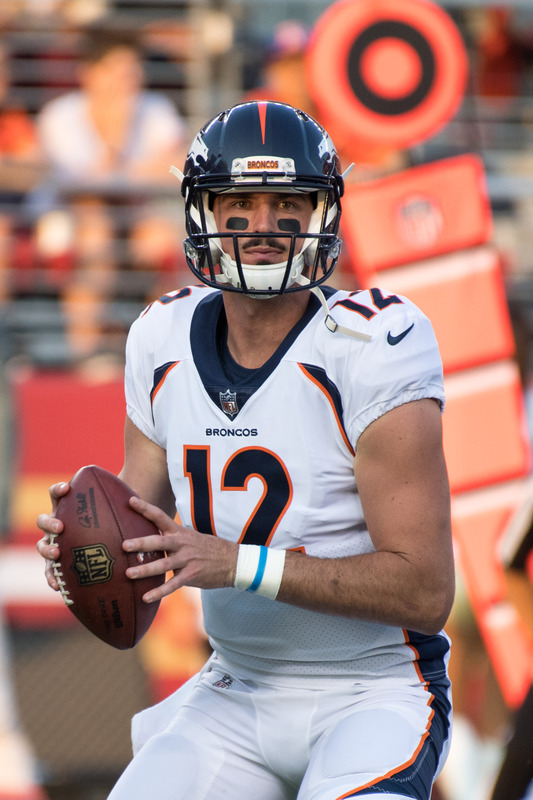 The Eagles auditioned quarterback Paxton Lynch and a host of other free agents on Tuesday, according to Adam Caplan of SiriusXM (Twitter link). Philadelphia, of course, has already brought in one failed early-round quarterback this year in Christian Hackenberg, who didn’t make it through final cutdowns. Lynch, a first-round selection in the 2016 draft, has already met with the Bills and Lions since being cut by the Broncos last week. Lynch, 24, failed to beat out seventh-round signal-caller Trevor Siemian in Denver for two consecutive seasons, and though he ultimately did make starts for the Broncos, his performances were abysmal. In four career starts, Lynch has completed only 61.7% of his passes for 792 yards, four touchdowns, and four interceptions, and was dreadful again during the 2018 preseason. The Eagles don’t necessarily need another quarterback on their roster, as Nate Sudfeld is currently backing up temporary starter Nick Foles. Carson Wentz, still recovering from a 2017 ACL tear, is expected to be sidelined for a few more weeks. The Jaguars have agreed to re-sign wide receiver Shane Wynn, according to John Oesher of Jaguars.com (on Twitter). 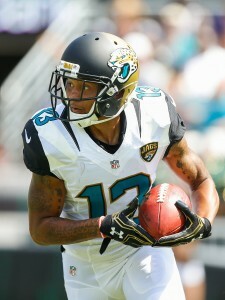 Jacksonville signed Wynn, 25, prior to the 2016 season and provided him with his first NFL action. He caught two passes and also had three carries last season. He’s also spent time on practice squads for the Browns, Jets, Chargers and Saints. The Falcons originally signed Wynn as an undrafted free agent in 2015 out of Indiana. Wynn provides the Jaguars with some depth as Allen Robinson and Marqise Lee entered the offseason as unrestricted free agents. 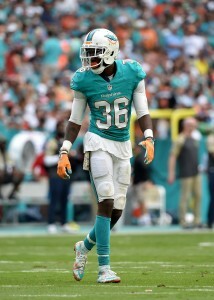 Robinson agreed to a three-year, $42MM deal with the Bears on Monday. Jacksonville has had a pretty busy Tuesday. Earlier, the team agreed to a five-year, $66.5MM deal with guard Andrew Norwell. The Jaguars have swapped one wideout for another. Ryan O’Halloran of the Florida Times-Union reports (via Twitter) that the team has placed receiver Rashad Greene on the injured reserve. The Jaguars have promoted receiver Shane Wynn from the practice squad to take Greene’s place. It’s been tough for Greene to establish himself on a team with so many talented wideouts. The 2015 fifth-round pick out of Florida State has hauled in 24 career receptions for 125 yards and two touchdowns, although he’s only recorded five receptions this season. Greene has also been the Jaguars primary punt returner over the past two seasons, although he has four fumbles on 21 returns this season. An achilles injury will shut down the 24-year-old for the season, and Greene will be making his second career trip to the injured reserve. Wynn, 24, has bounced around a bit since going undrafted out of Indiana in 2015. The wideout has yet to play in an NFL game, but he has spent time with the Falcons, Browns, Jets, Chargers, and Saints. Wynn will likely slide into the sixth receiver spot behind Allen Robinson, Allen Hurns, Marqise Lee, Bryan Walters, and Arrelious Benn. The Jaguars could also lean on Wynn to take over punt return duties.